Beam And Read – Awesome! I’ve had the opportunity to try out this light and peeps, It. Is. Awesome!! 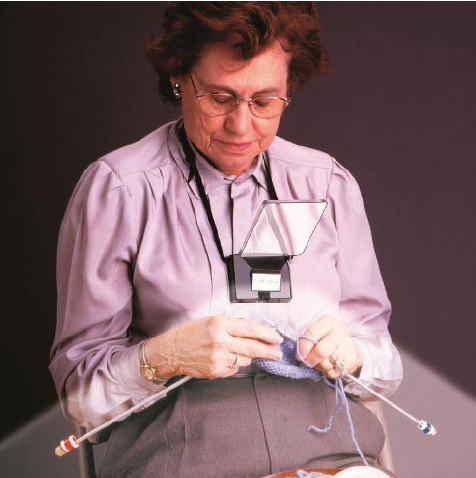 Of course I’ve used the Beam and Read for my knitting, but also reading late at night and early morning. Then, just the other night, I grabbed it and took it out to the chicken coop when I heard some commotion out there. The next time I went to use it, it wasn’t there, seems hubby decided it made a very nice addition to his “auto fixing arsenol”. Well, you’ll be happy to know that I’ve since re-claimed it. My knitting kit includes the Denise cloth knitting needle case, which also has room for extra scissors, a tape measure, stitch and row markers, extra dpns, row counters, even a crochet hook. And now… this Beam and Read light lives there too, part of my permanent collection (and safely hidden away from hubby, who has already asked if he can have his own!). There are male knitters that read this blog. Ah… doesn’t it move up and down as you breathe? I think that would drive me nuts trying to keep focus. Or maybe not. Can someone that uses it address that? I’ll be on the lookout for one to try before I buy in the meantime. I’m ….er…. fluffy in the max and having it hit my tummy may also be a problem. Sigh. I haven’t noticed it moving, Edie, and the strap is adjustable, so you can make it as long or short as you needed. I really love mine.